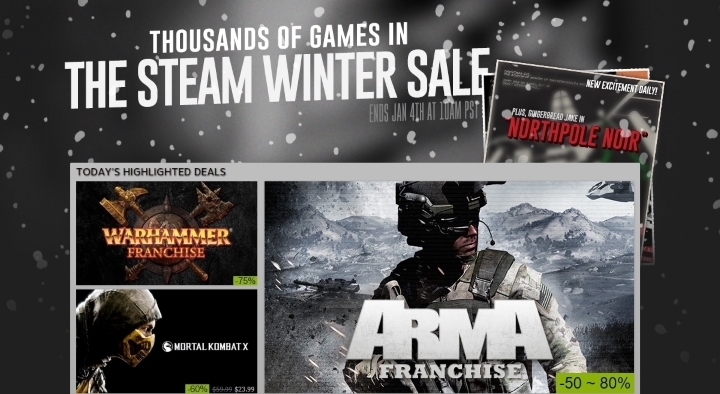 Steam is perhaps the best-known online digital distribution service in the world, and the PC game world’s answer to Microsoft’s Xbox Live and Sony’s PSN. It is renowned for its massively popular online sales which offer great discounts on big-name titles, even if these sales have not always been that great in the past. And American company Valve, who run Steam and were also behind the seminal Half-Life series of video games, has been controversial as it has been accused of monopolizing PC game digital sales by competitors such as Electronic Arts, who run rival service Origin. Valve also caused controversy last year for removing the ultra-violent game Hatred from the Steam store, although the game was reinstated later due to fan pressure. And now users are worried about Steam’s security, as a recent malfunction forced Valve to shut down the Steam store for more than an hour on Christmas day. But this does not appear to be related to a hacker attack, even though Xbox Live and the PlayStation Network have been hit by hackers in the past. Actually, last Christmas the infamous hacker group Lizard Squad launched an attack against both Microsoft’s and Sony’s services, shutting both down for several days and running Christmas day for quite a few gamers who were looking to have fun playing video games online. But this recent Steam malfunction does not appear to be the work of a malicious hacker group like Lizard Squad, even though another hacker outfit known as SkidNP had launched an attack against the Steam servers on the day, according to Forbes. Rather, it appears this was an issue with Valve’s own software that had the curious effect of letting certain users access other users accounts, potentially exposing names, addresses, credit card info and other data. How safe is your personal data on Steam? This Steam glitch also had the effect of changing the language of the Steam client to others such as Russian, although clearly this was a minor thing considering how much personal user information could have been compromised. And the matter was serious enough for Valve to shut down the Steam store for more than hour on Christmas Friday until the matter could be resolved. But after the ordeal, Valve issued a vaguely worded statement in which they downplayed the whole affair, stating that the glitch “allowed some users to randomly see pages generated for other users” and that “no unauthorized actions were allowed on accounts beyond the viewing of cached page information”. But was something else at play here, perhaps a hacker attack like Lizard Squad’s last year that we don’t know about yet, or is it that the Steam store, which now has a whopping 125 million users with several million concurrent users at any time, can’t simply be run by a small team of people like Valve currently does? 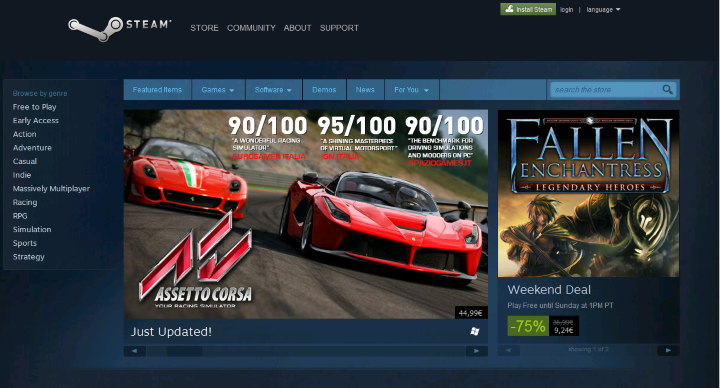 Because it is clear that Steam has done a lot to revitalise the PC games industry and make the platform important for game developers again, as well as offering a great online digital distribution service with good pricing and many convenient features such as the “Big Picture mode”, which is great for displaying the Steam interface on large TVs, and others like unlimited game re-downloading. So here’s hoping that this recent malfunction is an isolated incident, and gamers can keep enjoying Steam in the future without issues. Update: It appears that Steam was indeed attacked by hackers in the early hours of December 25, 2015. This wasn’t the reason behind the glitches discussed in this article, though. Rather, it was the mangled response to the attack by one of Valve’s partners that led to Steam’s zany behaviour on Christmas day. And now Valve is scrambling to contact those users affected (more than 30,000 according to the company’s recent statement), whose billing addresses, email and even credit card info could have been compromised on Christmas day.